Linda Seah Lei Sie, 39 year old salon manager, was sentenced to three years of jail and fined S$9,000 abusing her foreign domestic helper. She and her husband hired Myanmar resident Phyu Phyu Mar as a housemaid and nanny for their daughter in Feb 2016. They never paid Phyu Phyu Mar the agreed-upon monthly salary of S$700 ever since they hired in Feb 2016. It was only until the government intervened in Nov 2016 that the maid got her salary. Seah inflicted a long tormenting series of physical and emotional abuse on Phyu Phyu Mar from Aug to Oct 2016. The assaults include repeatedly hitting her maid’s head with a mobile phone, shaking her head and pulling on her hair so violently that chunks of hair came out, and deliberately starving her by only giving a diet of biscuits and uncooked noodles. As if these acts were not traumatic enough, Seah then forced Phyu Phyu Mar to burn herself by pouring boiling water on her shoulders. Seah denied any medical help for her maid’s forcibly self-inflicted wounds, even to the point of telling her maid to just puncture the blisters that resulted from the burns. She also forced her maid to drink filthy mop water with floor cleanser and dog hair. Seah justified the assaults she took against her maid by saying she was unhappy with how slowly the maid finished chores. The husband, Lim Toon Leng, was sentenced to six weeks of jail for punching Phyu Phyu Mar after he could not find his spectacles. 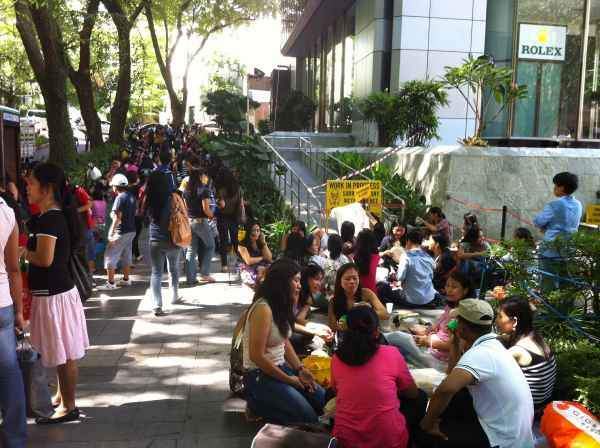 There are around 250,000 domestic helpers in Singapore, most of which are from neighbouring Southeast Asian countries. Last year, a picture of a domestic helper siding on the sidewalk while her employers ate in a restaurant went viral and sparked outrage. The post caught the attention of the Ministry of Manpower. A 2017 report said that 6 out of 10 domestic helpers in Singapore are exploited by their employers.